Project Groundhog 2010 is underway! 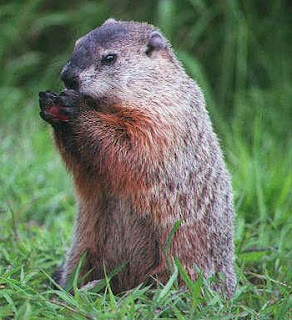 Project Groundhog was designed to help children find out if the groundhog as a weather hog is a myth or truth. For the six weeks following Groundhog Day, February 2nd, classes record the daily temperature and sky conditions where they live. The information collected is shared weekly with the participating schools via email and the Project Groundhog website. If school is closed for weather you record that too.... and some schools get to see lots of SNOW DAYS!!! Throughout the six week project, we get to know other classes around the world. We learn about their community and their school. We send them valentine messages, we compare weather conditions all over the world, and we learn about their class happenings through email projects and blogs. You can check out the project site at http://www.cdli.ca/Groundhog/NewGhog/index.php. Our first line of business will be to select a name for our class groundhog.